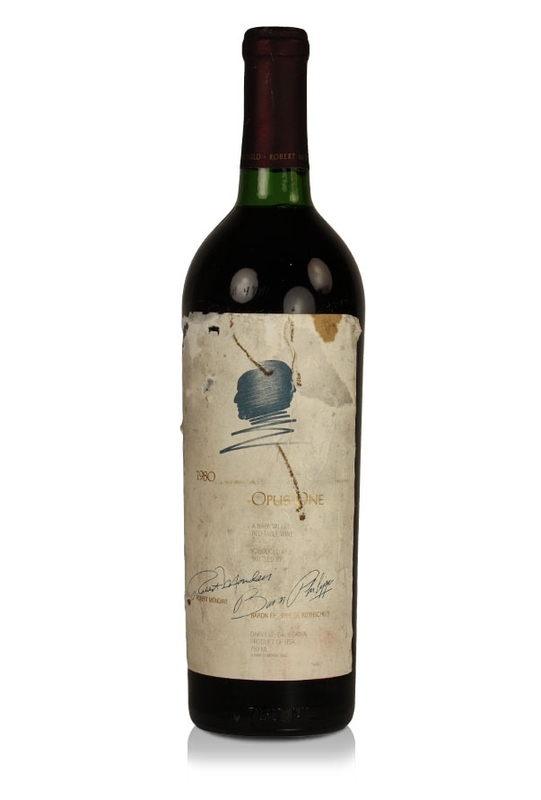 Opus One was a joint enterprise between Robert Mondavi and Baron Philippe de Rothschild combining in a new venture in California's Napa Valley. It was produced from the traditional Bordeaux grape varieties Cabernet Sauvignon, Cabernet Franc, Merlot, Malbec and Petit Verdot with the first mentioned variety being predominant. Opus One was a joint enterprise between Robert Mondavi and Baron Philippe de Rothschild combining in a new venture in California's Napa Valley. It was produced from the traditional Bordeaux grape varieties Cabernet Sauvignon, Cabernet Franc, Merlot, Malbec and Petit Verdot with the first mentioned variety being predominant. A combination of the vision of these two important wine personalities, superb terroir and rigorous viticultural techniques have created a modern classic wine. 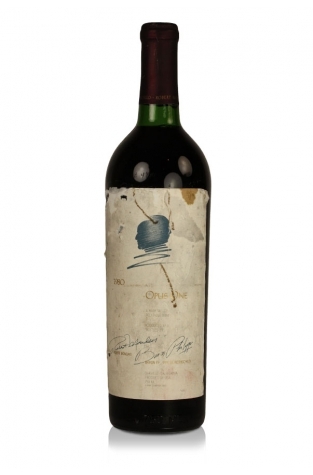 Only 4,000 cases were produced of this vintage. The 1980 vintage is still providing very worthwhile drinking and although now light in colour it displays an aroma of cocoa and coffee with some farm yard notes that are to be expected with such maturity. The palate suggests blackberry fruit with some spice, herbs and wood smoke. This vintage of Opus One will drink for the rest of this decade.